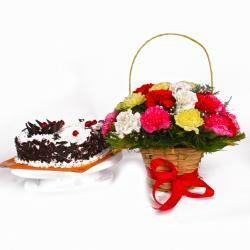 Product Consist : Basket arranged of 10 White Carnations and 10 Pink Carnations with 1.5 Kg Heart shape Black Forest Cake. 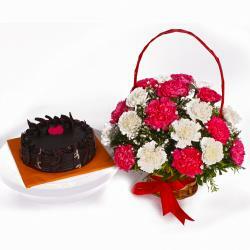 Surprise your dear ones with Fresh Carnations and Heart Shape Black Forest Cake a unique combinations. 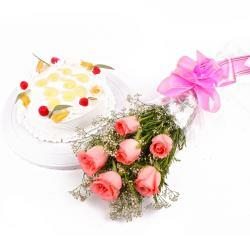 You cannot expect anything better than this combination for your loved ones. 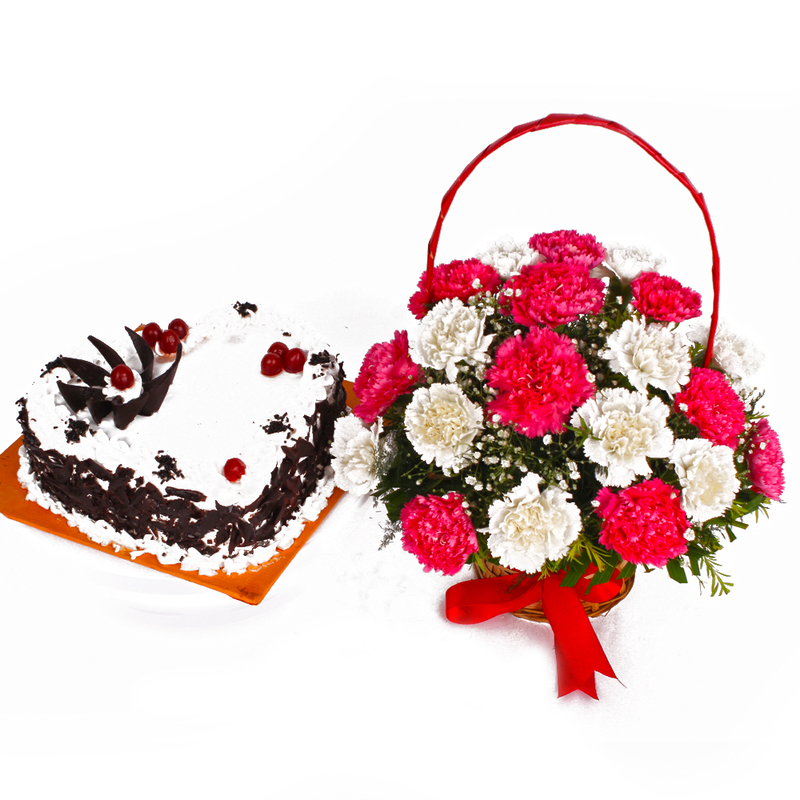 This Gift hamper includes beautifully arranged twenty Pink and White Carnations along with 1.5 Kg Heart shape Black Forest Cake. The gift is much more than just a gift. It is your expression of love. Surprise him or her on Birthday, Anniversary, Good Luck Gifts, Gudi Padwa / Ugadi, Daughters Day or any occasion with this special combo gift package. You may also send Gifts to India to your near and dear ones through Giftacrossindia. 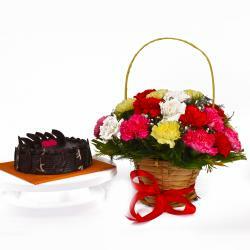 This gift hamper contains : Basket arranged of 10 White Carnations and 10 Pink Carnations with 1.5 Kg Heart shape Black Forest Cake.